If you’re planning a city getaway to London, be sure to take advantage of all the wonderful things to do in London England. London is brimming with an array of exciting things to do and things to see for all ages and tastes. Want to PAY LESS for your hotel in London? Get the best London hotel deals right now on TripAdvisor, compare rates, and check reviews! As one of the culture capitals of the world, London holds sightseeing and tourist adventures that you can’t experience anywhere else. Get the most out of your sightseeing trip to London and let it loose by visiting these must see things to do in London! Every first time visitor to London, ‘must see’ the changing of the guard at Buckingham Palace at 11 a.m.. 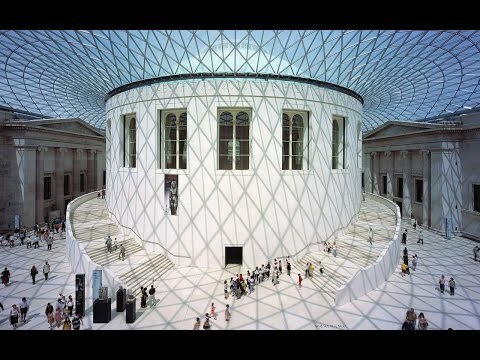 The British Museum tops our list of things to do in London England. Sir Hans Sloane had contributed his mass collection of over 71,000 interesting items when the British Museum was founded in 1753. In the nineteenth century, the museum began to flourish, increasing its inventory of interesting items to over seven million; many of these items are over 10,000 years old. The British Museum’s charter had insisted that the museum remain open free of charge to all those curious and studious persons who wish to enter. Spend and astounding afternoon wandering the eternal corridors and discover some of mankind’s greatest cultural achievements and explore the great relics of the Greek and Egyptian empires. British Airways London Eye is our second tip on things to do in London England. Welcoming nearly four millions guests each year, the London Eye has become one of the most popular attractions in London. This observation wheel stands 135 meters over the city of London and is currently the tallest observation wheel in the world. This exploitation of modern engineering allows visitors to view London with a new perspective, revealing sections of the city that are nor visible from the ground. Described as an inspiring and enchanting experience, the London Eye has become an essential to visitors to complete the London experience. Things to do in London England even when you are on a budget. Sightseeing in London isn´t complete without a visit to Saint Paul’s Cathedral. A fascinating depot of British history and an inspirational centerpiece of reconstruction after the great London fire of 1666, Sir Christopher Wren’s cathedral still remains a spiritual focus of Great Britain. Famous for hosting royal weddings, birthdays, celebrations and even funerals of Great Britain leaders under the great dome of Saint Paul’s Cathedral and a beautiful piece of history and our # 3 in things to do in London England. Tickets to the cathedral can cost as much as £18 per person. If you are on a budget you can still enter St. Dunstan’s Chapel, or visit the Crypt Area for free. Of course you can attend a service at no cost at all. The National Gallery, #4 on things to see in London. Located in the heart of Trafalgar Square it houses some of the world’s finest art dating back to the 13th century. Construction of the National Gallery began in 1832 and since then had collected the fine arts of da Vinci, Monet, Renoir, Van Gogh and many more. A visitor can spend days inside the National Gallery trying to view all its contents. London Zoo. Regents Park contains one of the world’s most famous zoo’s that is home to over 12,000 animals. Animal shows are held daily to allow zoo visitors to learn more about a species through the animals’ handler. 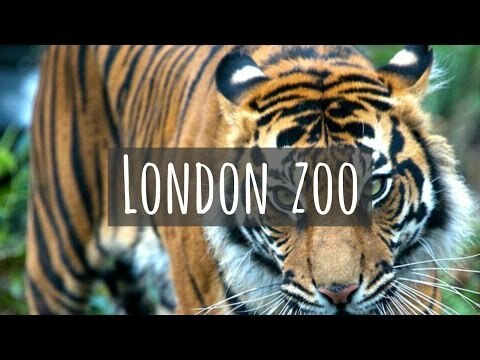 The London Zoo is considered a must see among visitors and residents and is suggested to be visited at least twice in order to complete the London Zoo experience. If you want to discover London off-the-beaten path check out these real insider travel tips on TripAdvisor! Tate Modern. Viewed as London’s most innovative gallery, it includes an array of exhibitions and grand collections of modern art. Appealing to children and adults, amateurs and experts, with the collections of artists like Andy Warhol, Matisse and Bacon. Tate Modern is considered one of the top must see galleries of London. The Tower is one of the must things to do in London England! Built with imported white stone from France, the Tower of London has been known to protect, imprison, and execute the people of London. The Tower of London was dubbed the “bloody tower” where Richard III had allegedly murdered his nephews. The Natural History Museum. An attractive Gothic building that houses one of the world’s largest collections of dinosaurs with exhibitions dominating the great halls and towering above awe stricken visitors. A museum of abhorrent waxworks and animatronics displays demonstrating the darkest parts of British history with beheading, torture, murder and plague completed with grisly sound effects. Staff would often dress up in costume and jump out at unsuspecting visitors to add excitement to the mix. Westminster Abbey. A medieval masterpiece in London things to see. It´s the burial ground for kings, scientists, statesmen, poets and musicians since 1066. Visitors can enjoy the intriguing literary history, the artistic talent that went into the paintings, tombs and murals and be taken aback by the Gothic architecture. The Westminster Abbey has become one of London’s most stunning churches. 11. Windsor Castle is the largest inhabited castle in the world and is home for the Queen would call home. Have a look at more interesting castles in England and the UK here. So what’s the best way to get around the British capital? Fortunately, you do have a good number of options open to you. The London Underground, for example, is the oldest underground mass transit system in Europe and consists of some 275 stations on 12 separate lines. Generally speaking, you’ll find that the stations are very close together; with central London being particularly well covered (there are 63 stations in central London alone). If you’re expecting to make a number of journeys in a day then avoid paying for numerous single tickets and opt for a One Day Travelcard – they’re more cost effective. You’ll need to tell the ticket office operator what zones you’ll be traveling through during the day. If you don’t fancy the Underground or the buses then another option is to jump in a black cab. These provide a great experience in themselves, although generally will work out more expensive than the two public transport options already mentioned. These hackney cabs can be hailed from anywhere and the drivers have to pass a stringent test so that they can take you anywhere you need to go and reach things to do in London England. Look at more exciting getaways right here.